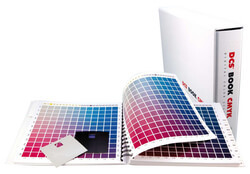 Pantone, Inc. introduced the Goe colour system in September 2007. The Pantone Goe System should effectively be viewed as a method of bringing Pantone’s well-known colour matching system into a new and interactive age. The first thing which the Pantone Goe System has done is to bring together 2,000 new colours. The system which has been devised by Pantone to match and identify the colours has also been revised and updated. It is also notable because it uses a fewer number of core colours in order to create the variety of shades on offer. From an interactive point of view, Pantone have helped to form an online community which allows its customers the opportunity of communicating with other people from similar industries in order to share their experiences. There is also now the opportunity of using interactive software and tools. As has traditionally been the case with Pantone’s other products, the Pantone Goe System is produced in both coated and uncoated versions. The main reasons for this, as always, is because of the slightly different finishes which are produced by each and so the different guides are symptomatic of Pantone’s pursuit of absolute excellence, certainty and accuracy. The Pantone Goe System has also allowed Pantone to introduce its ‘GoeSticks’. Rather than guidebooks, these are adhesively backed colour strips which can be displayed with other colours on a board in order to get a feel for particular contrasts, matches and styles.